Sunway Gandaria is a mixed development consists of Sunway Gandaria Residences and Sunway Gandaria Retail. 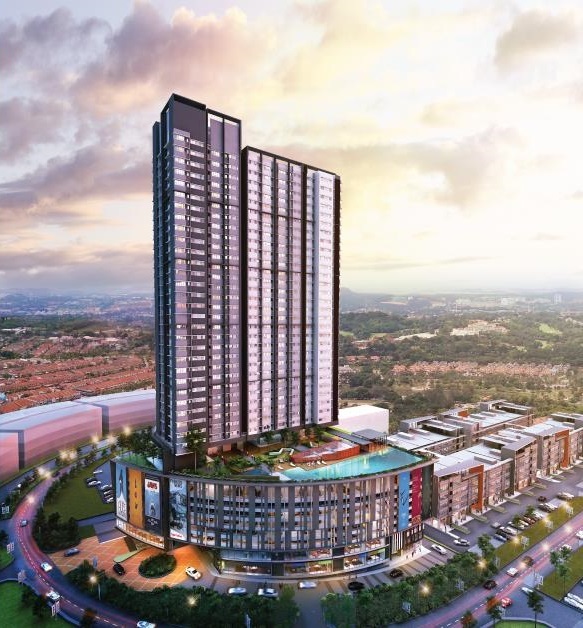 Located at Bangi, Sunway Gandaria Residences will be tallest residential building at Pusat Bandar Baru Bangi, offering Bangi golf course view and lake view in a secured community living. Sunway Gandaria Residences consists of a 38 storey tower overlooking Bangi Golf Course & Taman Tasik Cempaka. The built-up area for each serviced apartment ranging from 949 sq.ft. to 1,405 sq.ft. Facilities at Sunway Gandaria include an olympic size 50m swimming pool, multipurpose hall for all events need and more.